Trophies have marked victories since ancient times. The word trophy coined in English in 1550, was derived from the French trophée in 1513, "a spoil or prize of war", in modern use a trophy is a reward for a specific achievement, and usually afterwards serves as proof of merit. A' Design Award Trophy highlights the excellent qualifications of best designs, design concepts and design oriented products. The trophy was designed to be long lasting and unique, to be given only to the best designs. 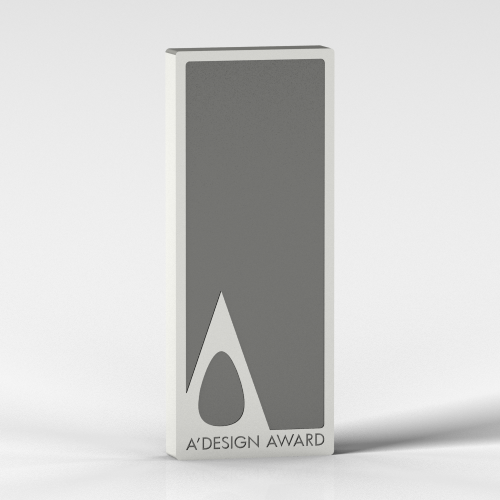 All winners receive a special trophy to remember and remind their achievements, furthermore a special public relations campaign will be made for the A' Design Award winners. Your design and your details will be communicated to thousands of press contacts, and also we will prepare a pr-kit for you. You can use this professionally prepared pr-kit to reach local press contacts. The winning design and the designer or the design studio will also be featured in the design annual and yearbook which is distributed by Design PR Wire to key figures in the design industry such as high-profile editors, press members and multi-national companies.